Over the past few years, we have been involved in helping people achieve quick property sales to help them move on in their lives. We have specialised in this field for long enough to have a firm understanding of the various requirements that people have. Our experience has given us an insight into the wide variety of individual cases that range from sales due to repossession to sale as a result of a relationship split. As time has moved on, we have also developed a strong network of partners who help us ensure that the sale of a property is as smooth and seamless as possible to help you release equity. Our cash backing means that we’re in a strong position to act quickly to specific circumstances and get properties sold fast. Dealing with us will mean dealing with a team of friendly and experienced professionals who will help you move in life with sensitivity and understanding. We have a sympathetic approach to dealing with individual cases, so please contact us to learn how we can help you. 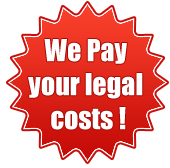 We deal with every case professionally. Contact us to get your house sold .